Generally, the soil types most favorable to the successful implementation of a dynamic compaction program are granular soils with a low degree of saturation. Specifically, granular uncontrolled fill material or loose sands that are situated above the groundwater table are the most appropriate for improvement by dynamic compaction. Softer areas are readily apparent, and additional energy can be applied immediately. 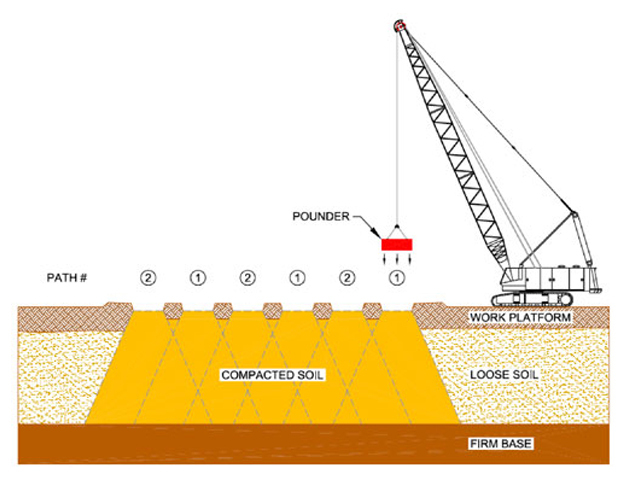 Dynamic Compaction is also effective below the water table without the need (and expense) of dewatering.